Raffaello was the darling of Rome. According to the art historian Giorgio Vasari, he had such a pleasant personnality that he charmed everybody who counted in the Vatican, except perhaps his rival Michelangelo. It was Pope Julius II who brought him to Rome in 1508 to redecorate the appartments of the previous Pope, Alexander VI from the Borgia family. Julius II had such hatred for the man that he wanted to cancel all traces of his passage in the Vatican. So he got Bramante, Michelangelo and Raffaello to work on it. There, Raffaello created his famous rooms, in particular the Room of the Signature where he painted the renowned School of Athens and the Dispute of the Holy Sacrament. His fame quickly spread to the city where the nobility was fighting for his talent. An extremely wealthy banker from Sienna, Agostino Chigi, treasurer to the Pope, was building a magnificent villa along the Tiber in the Trastevere area. He made sure he also got Raphael to work on it, and commissioned him for the internal decoration program. Chigi had already appointed the Sienese architect Baldassare Peruzzi to design the villa, and with it, a novelty was created: the suburban villa. Unlike other Roman palaces which tended to have a square shape, Peruzzi added two wings opening on to the garden and a loggia in the middle. 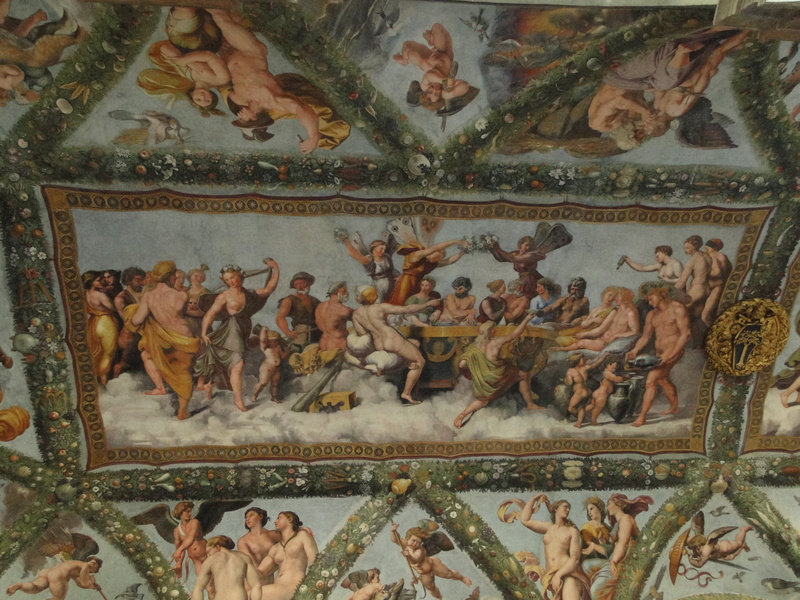 Raffaello and his school, in particular his pupil Giuliano Romano, created the cycle of frescoes in the loggia based on the classic love tale of Cupid and Psyche. It is now acknowledged that most paintings are from Romano’s hand on preliminary designs by his master. Raffaello himself painted the Galatea fresco in the room next door. 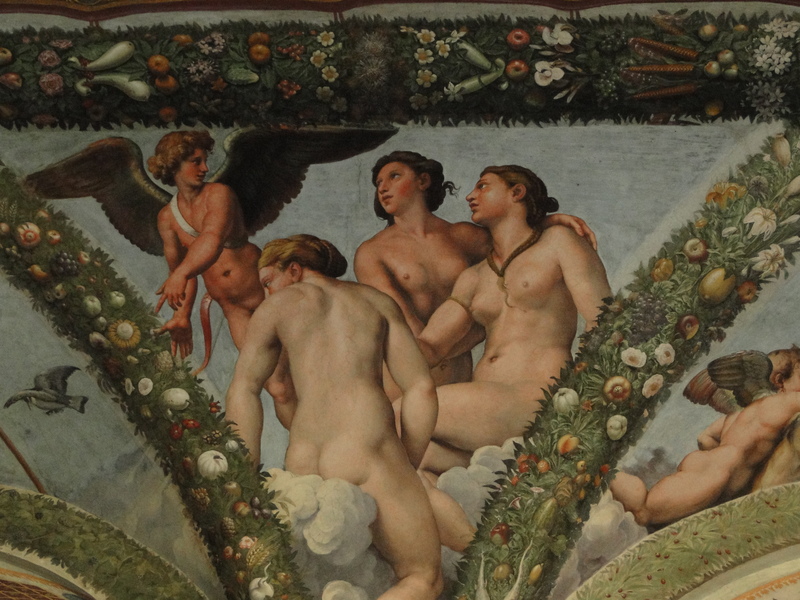 Other artists such as Sodoma and Sebastiano del Piombo were also involved in the decoration. The villa was being built for Chigi’s lover, Francesca Ordeaschi, a courtisan who climbed up to the highest social ranks of Renaissance Rome. All the themes used in the decoration are pagan themes of profane love and seduction. 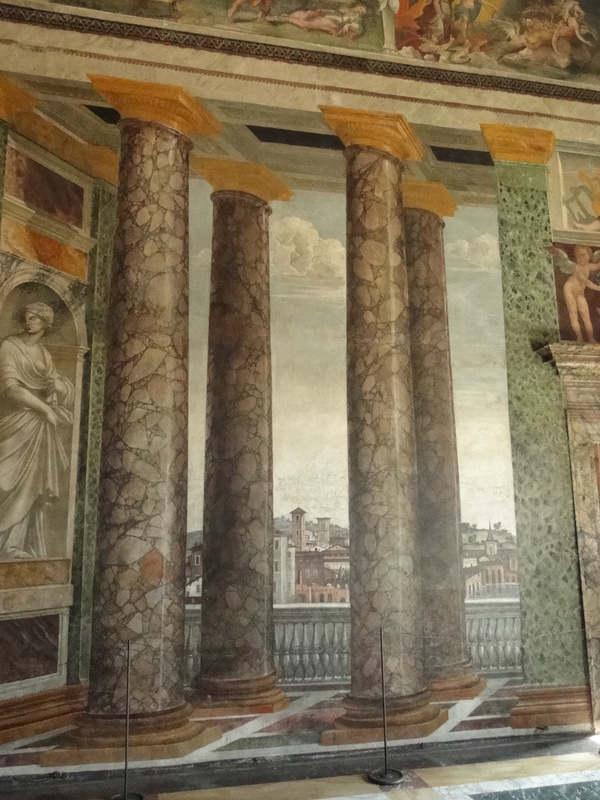 On the first floor of the villa, Peruzzi created the room of prospectives in which he included trompe-l’oeil views of Rome. This grand room was used to celebrate Chigi’s marriage to his mistress in 1519. Some of the frescoes are surprisingly damaged by hand-written graffitti. They date from the 1527 sack of Rome, when the ruthless Landsknecht, sent in by Charles V, destroyed a great part of the city. After his marriage, Chigi didn’t enjoy his villa for long. He died a year later in 1520, the same year as Raffaello. The Villa was left partly abandoned, until its purchase by Cardinal Alessandro Farnese in 1580. The latter had a great plan to create a vast Farnese estate, linking the Villa and its gardens to the prestigious Farnese Palace across the river. Michelangelo had previously thought of a bridge crossing the river, but it was never built because it was too ambitious and too costly a project. 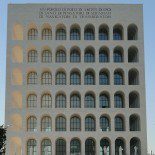 This entry was posted on May 5, 2011 by Salambo in Arts and culture, palaces, Renaissance Rome, Roman artists and tagged agostino Chigi, baldassare peruzzi, Farnese, giuliano romano, italy, lungotevere alla lungara, raffaello, Rome, villa farnesina.